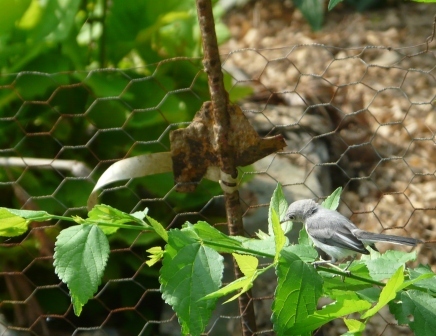 The gnatcatchers have been working over the garden bushes and saplings for the last week. 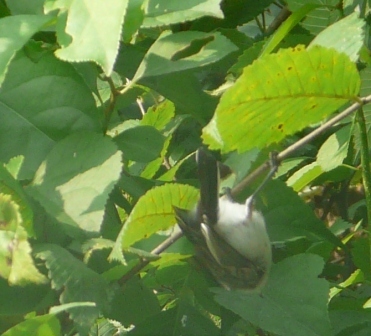 They are one of the more acrobatic local birds, lunging from branch to branch and dangling under leaves in search of small insects. This entry was posted in Archosaurs on July 22, 2011 by David George Haskell.